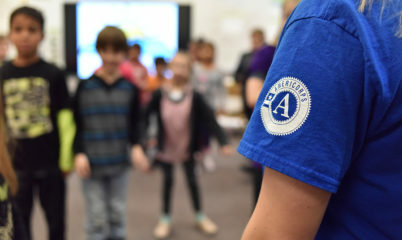 Celebrating AmeriCorps Week with Service! AmeriCorps Week is when we celebrate and highlight the great work of our AmeriCorps members across the nation. 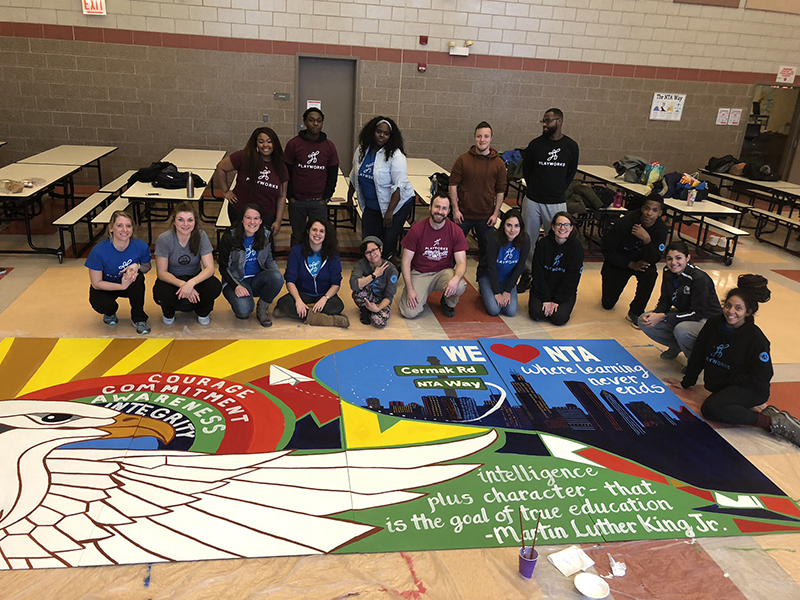 This past January, Playworks Illinois staff and AmeriCorps members painted a mural to show love and appreciation for one of our partner schools to commemorate Martin Luther King Jr. Day. Everyone worked together and painted a part of the mural, ended the day with a full beautiful mural to go in the cafeteria at the school. 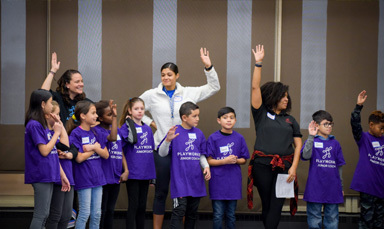 This project would not have been possible without the hard work, dedication, and teamwork of this year’s cohort of coaches!